Don’t be defined by your bench press max. 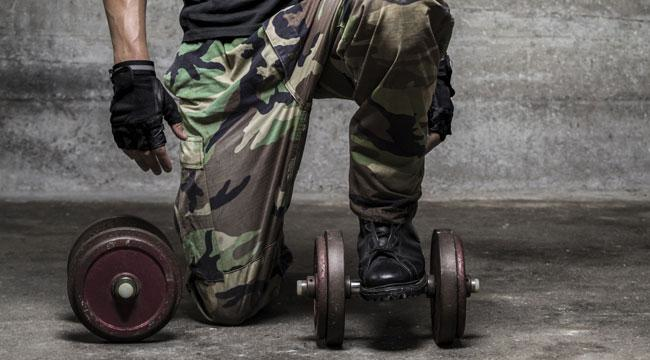 Test your overall strength and stamina with this workout, designed for elite military and law enforcement. When it comes to the business of battling insurgents or serving high-risk warrants, there are a lot of things that can go wrong. Weapons fail, plans fall apart, bad guys get away. But of all the many variables involved, the last thing that our military and law enforcement want to worry about is their level of fitness. They need to be able to sprint to cover, carry a teammate out of harm’s way or hurdle obstacles, all with a high level of efficiency. Relative strength, power, stamina and speed all come into play. So with lives hanging in the balance, operators tend to train in earnest to meet all of these tasks. Rob Shaul, CSCS, is the founder of Military Athlete (www.militaryathlete.com) in Jackson, Wyoming, a company specializing in fitness programming for military and law enforcement athletes. One of the tests he has developed to test physical preparedness is called “Operator Ugly,” a grueling 90-minute-plus gauntlet of exercises that are vital to Special Forces as well as local SWAT and elite federal units like the FBI’s Hostage Rescue Team and the U.S. Border Patrol’s Tactical Unit. The test offers an unfiltered measure on an athlete’s level of physical and mental fortitude. You might not need to kick down any doors or tackle rugged terrain in the Hindu Kush but occasionally assessing your level of athleticism is never a bad idea. Give Operator Ugly a try the next time you’re curious about how you stack up against our fighting elite. Perform each event in the order listed and score yourself based on the parameters outlined here. Shaul recommends that men perform a warm-up set of 10 reps at 135 pounds and another of five reps at 165. For women, do 10 reps at 45 pounds, then five at 65. Then hit your prescribed weight for as many reps as possible. This event calls for a similar warm-up protocol. Men should do 135 pound for 10 reps, then 165 for five reps before going for max reps at 185. Women should warm-up with 65 and 85 pounds. 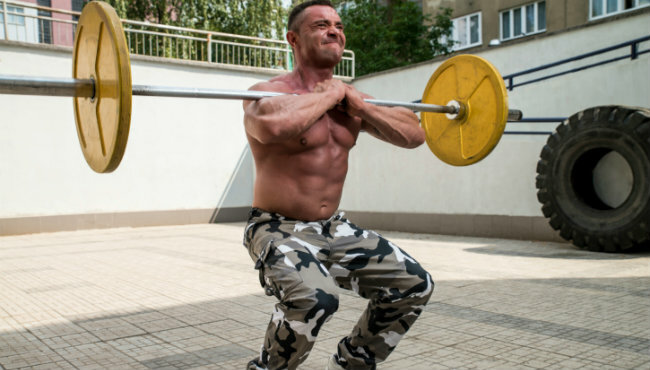 Male athletes should warm-up with 10 reps at 135, then five at 185. Women should do 10 reps at 65, then five at 95 pounds. In this round, you’ll bust out sprints between two cones, spaced 25 meters apart, for 60 seconds straight. Each time you touch a cone it counts as one rep. So each trip out and back is essentially two reps. Impartial reps as time expires do not count toward your total. Rest 60 seconds between bouts.